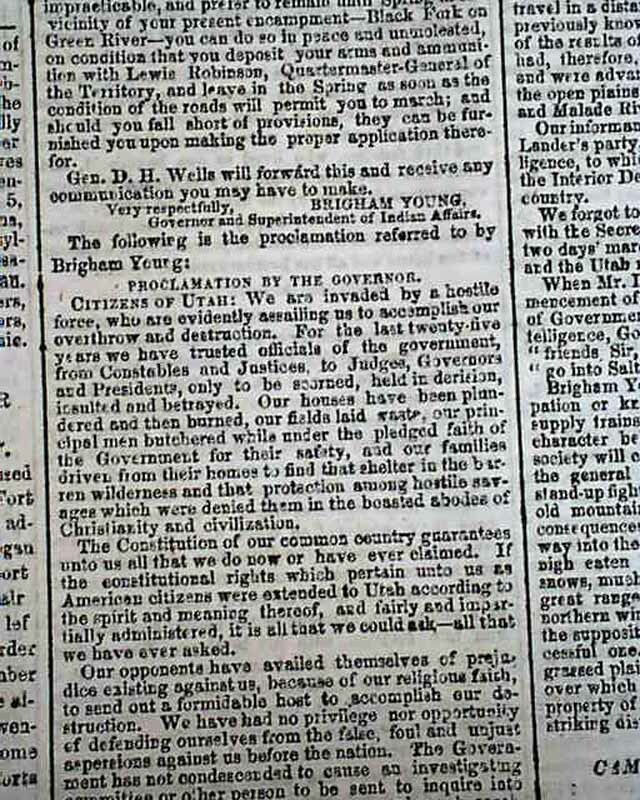 Page 6 contains one of the more historic documents in Mormon history, with the report headed: "The Mormon Rebellion" which is primarily occupied by the: "Proclamation By The Governor" which is signed in type: Brigham Young. 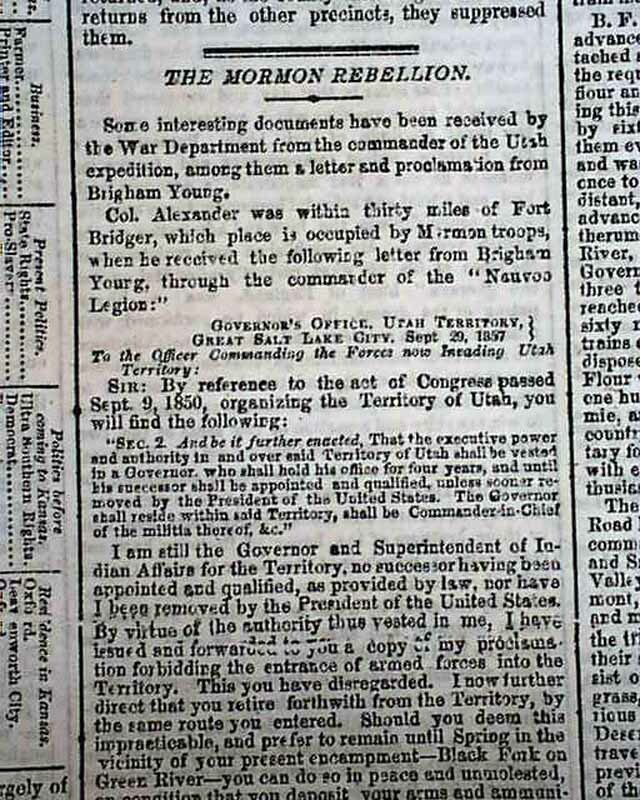 The article begins with a letter signed in type: Brigham Young and written to: "The Officer Command the Forces now Invading Utah Territory:..." which includes in part: "...I have issued and forwarded to you a copy of my proclamation forbidding the entrance of armed forces into the Territory. This you have disregarded. 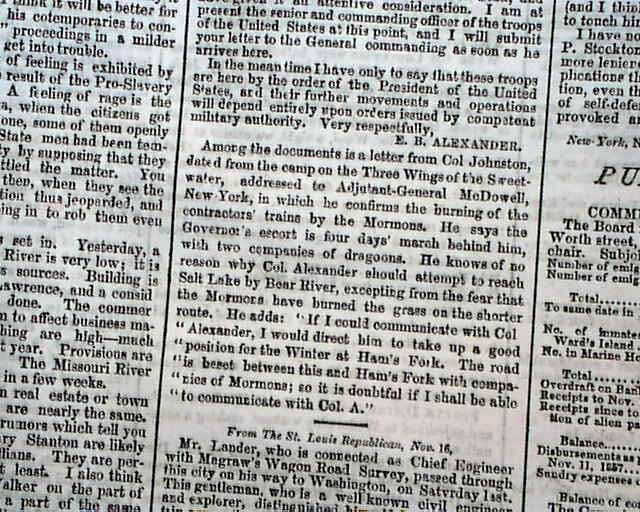 I now further direct that you retire forthwith from the Territory by the same route you entered..." (see). 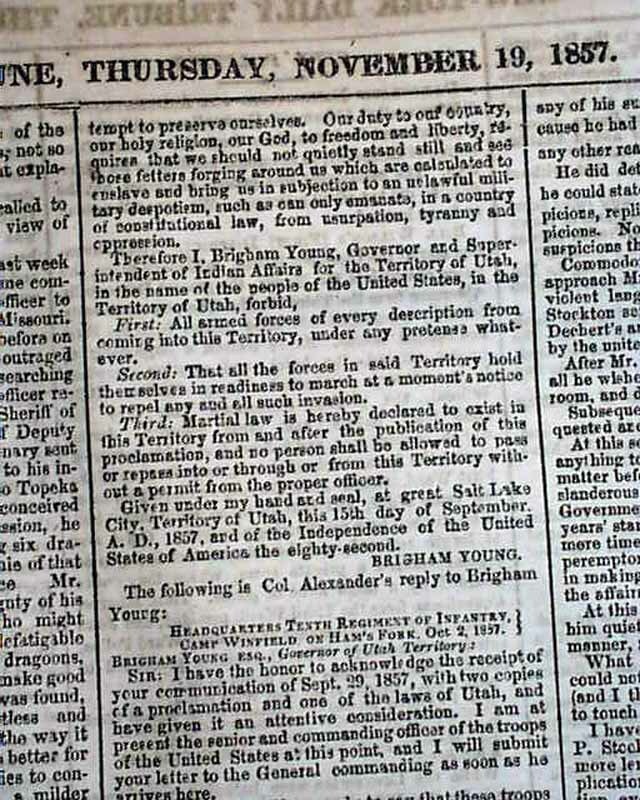 This is followed by his historic proclamation of martial law throughout Utah. 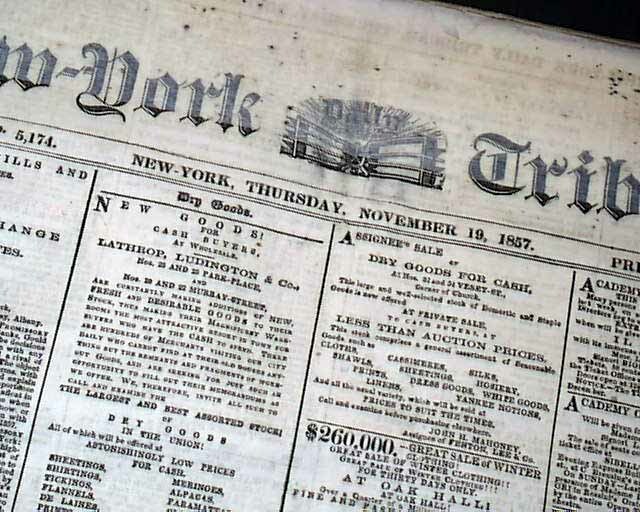 See the hyperlink for a website with the full text. 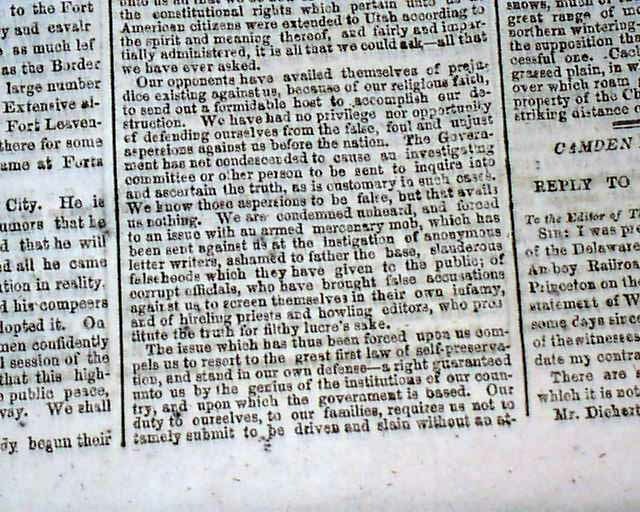 The Declaration begins: "Citizens of Utah: We are invaded by a hostile force who are evidently assailing us to accomplish our overthrow and destruction..." with much more. This is followed by more text concerning the Mormons. Eight pages, archival reinforcing around the edges of all pages, mostly transparent not causing any loss of readability. 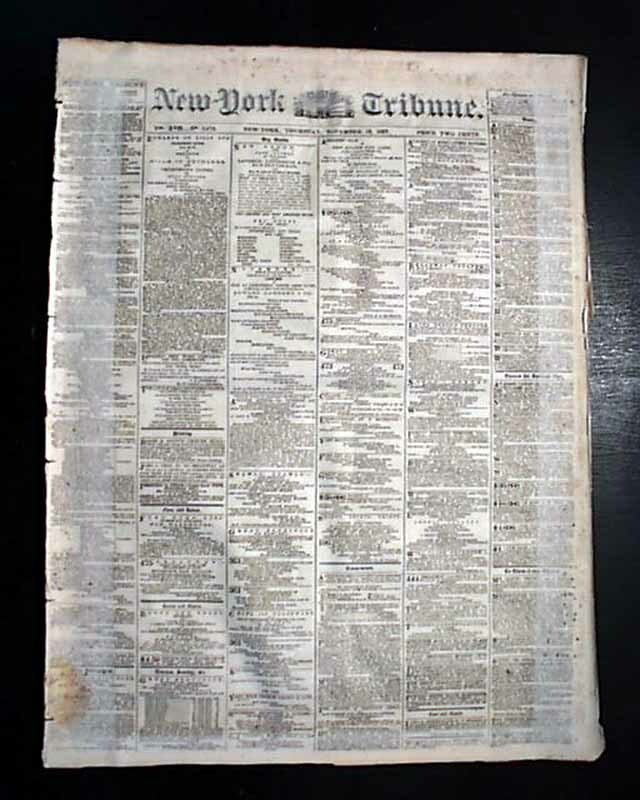 None of the archival strengthening affects the Mormon content. Wear at the margins, so spotted foxing.